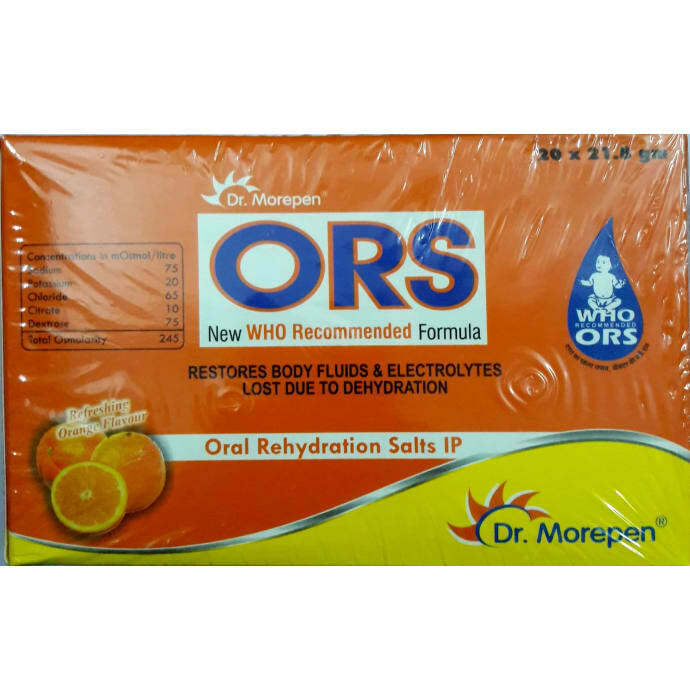 ORS Powder is a WHO based ORS (Oral Rehydration Salt) formula. Oral redyration salt is a combination of Dextrose and a number of essential electrolytes (Sodium Chloride, Potassium Chloride, Sodium Citrate). ORS Powder restores body fluids & electrolytes, lost due to dehydration in during Diarrhea, vomiting, muscle cramping, and exertional heat illness, while exercising in hot or humid weather.